I am filled with excitement and anticipation at the entrance of Oscar winning actress Lupita Nyong’o at the sold out, full to capacity MIST HARLEM for conversation with Lupita with Michaela Angela Davis. With this type of electricity, who need Con Ed. The intro video does not play but who needs it, everyone knows her. She has taken the Acting and Fashion world by STORM, she is a FASHION ICON. As she walked on stage, I am emotional. Her skin is rich dark mahogany and smooth as Nat King Cole’s voice. As the conversation gets under way, she proves she is not just a beautiful face, she is an intellectual. She takes her time to think before she answers questions and does not fail to let us know she is not “special” she says “there are lots of people that look like me”. She speaks about her life, her return to her home in Africa and how she plans to use her platform. This is more than I can hope for, I am satisfied that the future is in good hands. She thanks all her mentors, friends, family and supports that help guide her thru this (almost) instant fame. On October 20, Congressman Charles Rangel and Voza Rivers, the head of the New Heritage Theatre Group, announced the day is officially “Lupita Nyong’o Day” in Harlem, New York. The honor was announced as a surprise during an open discussion between Nyong’o and image activist Michaela Angela Davis at Mist Harlem. Thank you MIST HARLEM for such a wonderful event. Nyong’o was born in Mexico City, Mexico, to Dorothy and Peter Anyang’ Nyong’o, a college professor turned politician from Kenya. Nyong’o identifies as Mexican-Kenyan. It is a Luo tradition to name a child after the events of the day, so her parents gave her a Spanish name, Lupita (a diminutive of Guadalupe). She is of Luo descent on both sides of her family, and is the second of six children. Her father is a former Minister for Medical Services in the Kenyan government. At the time of her birth, he was a visiting lecturer in political science at El Colegio de México in Mexico City, and her family had been living in Mexico for three years. They returned to Kenya in 1983. Lupita dedicated her Critic’s Choice Award to the memory of her uncle, Aggrey Nyong’o, a noted pathologist who died in a car accident in 2002. Her family was forced to leave Kenya because of political unrest. Another uncle, Charles Nyong’o, was thrown off of a ferry-boat in 1980. Nyong’o and her family moved back to their native Kenya when she was less than one year old, as her father was appointed a professor at the University of Nairobi. She grew up primarily in Kenya, and describes her upbringing as “middle class, suburban”. When she was sixteen, her parents sent her to Mexico for seven months to learn Spanish. During those seven months, Nyong’o lived in Taxco, Guerrero, and took classes at the Universidad Nacional Autónoma de México’s Learning Center for Foreigners. Nyong’o grew up in an artistic family, where family get-togethers often included performances by the children in the family, and trips to see plays. She attended Rusinga International school in Kenya and acted in school plays, with a minor role in Oliver Twist being her first play. At age 14, Nyong’o made her professional acting debut as Juliet in Romeo and Juliet in a production by the Nairobi-based repertory company Phoenix Players. While a member of the Phoenix Players, Nyong’o also performed in the plays “On The Razzle” and “There Goes The Bride”. 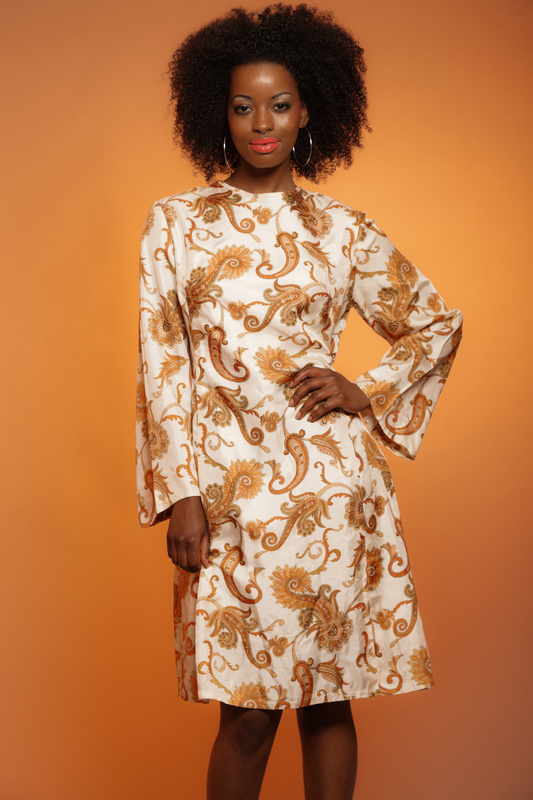 Nyong’o cites the performances of American actresses Whoopi Goldberg and Oprah Winfrey in The Color Purple with inspiring her to pursue a professional acting career. Nyong’o later attended St. Mary’s School in Nairobi, where she received an IB Diploma in 2001 before attending college in the United States. She graduated from Hampshire College with a degree in film and theatre studies. Nyong’o started her film career working as part of the production crew for many films, including Fernando Meirelles’s The Constant Gardener, with Ralph Fiennes, Mira Nair’s The Namesake and Salvatore Stabile’s Where God Left His Shoes. She cites Fiennes as another person who inspired her to pursue a professional acting career. She starred in the short film East River (2008), directed by Marc Grey and shot in Brooklyn. She returned to Kenya that same year and appeared in the Kenyan television series Shuga, an MTV Base Africa/UNICEF drama about HIV/AIDS prevention. In 2009, she wrote, directed, and produced the documentary In My Genes, about the discriminatory treatment of Kenya’s albino population. It played at several film festivals and won first prize at the 2008 Five College Film Festival. Nyong’o also directed the music video The Little Things You Do by Wahu, featuring Bobi Wine, which was nominated for the Best Video Award at the MTV Africa Music Awards 2009. She enrolled in a master’s degree program in acting at the Yale School of Drama. At Yale she appeared in many stage productions, including Gertrude Stein’s Doctor Faustus Lights the Lights, Chekhov’s Uncle Vanya, and William Shakespeare’s The Taming of the Shrew and The Winter’s Tale. While at Yale, she won the Herschel Williams Prize for “acting students with outstanding ability” during the 2011–12 academic year, and graduated. The next year Nyong’o landed her breakthrough role when she was cast for Steve McQueen’s historical drama 12 Years a Slave (2013). The film, which met with wide critical acclaim, tells the historical account of Solomon Northup (played by Chiwitel Ejiofor), a free-born African American man of upstate New York who is kidnapped and sold into slavery in Washington, DC in 1841. Nyong’o played the role of Patsey, a slave who works alongside Northup at a Louisiana cotton plantation; her performance met with rave reviews. Ian Freer of Empire wrote that she “gives one of the most committed big-screen debuts imaginable,” and critic Peter Travers added that she “is a spectacular young actress who imbues Patsey with grit and radiant grace”. Nyong’o was nominated for several awards including a Golden Globe Award for Best Supporting Actress, a BAFTA Award for Best Actress in a Supporting Role and two Screen Actors Guild Awards including Best Supporting Actress, which she won. She was also awarded the Academy Award for Best Supporting Actress, becoming the sixth black actress to win the award, the first African actress to win the award, the first Kenyan actress to win an Oscar, and the first Mexican to win the award. She also became the fifteenth actress to win an Oscar for a debut performance in a feature film. She also played a brief role portraying a reserve flight attendant alongside Liam Neeson and Julianne Moore in the action thriller Non-Stop (2014). Nyong’o was cast to star in Star Wars: The Force Awakens (2015). On May 4, 2015, photographer Anne Leibovitz revealed Lupita’s character as Pirate Maz Kanata in Vanity Fair’s June Edition issue. In the spread, Nyongo was pictured wearing CGI gear with dots on her face, confirming that Kanata’s character will be done via motion capture. Lupita later revealed on instagram that she will be playing the newly announced character. Lupita revealed in an interview at Disney Expo that her character won’t be seen until the movie; though her character’s voice over can be heard in the final trailer. Lupita joined the cast in Jon Favreau’s The Jungle Book (2016), a live-action/CGI hybrid movie. Nyong’o was cast as Rakcha, a mother wolf who adopts Mowgli. She made an appearance at Disney Expo in August 2015 with Favreau and castmates, Neel Sethi and Ben Kingsley to discuss with Bob Iger about the movie and reveal of the trailer and teaser poster for the film. Nyong’o will also produce and star in a film adaptation of the novel Americanah. Deadline.com announced back in January 2015, that Nyong’o were in negotiations to star in Mira Nair’s The Queen of Katwe, a biopic based on the true story about the rise of a young African chess prodigy. Phiona Mutesi, whose rise to prominence in the international chess circuit was documented in a 2011 ESPN: The Magazine article by Tim Crothers. Nyong’o will be playing Phiona’s mother, Harriet Mutesi. Lupita arrived in Uganda in March to begin filming and wrapped up in South Africa in July. Lupita made a three-time stage appearance at Disney Expo to discuss The Queen of Katwe. Lupita Nyong’o will headline the New York premiere of Eclipsed, directed by Liesl Tommy and written by Danai Gurira. The production, which has been added to The Public Theater’s 2015-16 season, will begin off-Broadway previews on September 29. Opening night is set for October 14 at The Public’s LuEsther Theater. Nyong’o played The Girl, a fifteen year old orphan. Eclipsed is to take place through the chaos of the Second Liberian Civil War, where the captive wives of a rebel officer band together to form a community, until the balance of their lives were upset by the arrival of a new girl. The New York premiere of Eclipsed made its final extension to November 29. 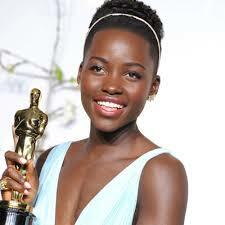 Lupita’s performance received many rave reviews. Charles Isherwood, theater critic of New York Times, called her performance a tremendously accomplished performance that “CUTS TO THE BONE.” Eclipsed will extend to Broadway at the John Golden Theatre. The Broadway production will begin with previews on February 23 and opening on March 6. In 2014, she was chosen as one of the faces for Miu Miu’s spring campaign, with Elizabeth Olsen, Elle Fanning and Bella Heathcote. She has also appeared on the covers of several magazines, including New York’s spring fashion issue and the UK magazine Dazed & Confused. 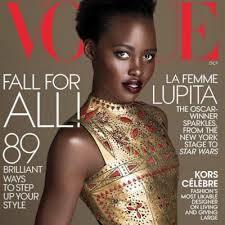 Nyong’o is on the July 2014 cover of Vogue, making her the second African woman and ninth black woman to cover the magazine. Nyong’o also appeared on the cover of July’s issue of ELLE (France). She has also been a regular on Harper’s Bazaar’s Derek Blasberg’s best dressed listing since the autumn of 2013. In April 2014, Nyong’o was announced as the new face of Lancôme. Nyong’o appeared on other covers of magazines such as, March’s issue of Lucky Magazine, Harper’s Baazar’s (United Kingdom) May issue, Spanish Magazine MujerHoy, Paris Match, Elle (Indonesia), and Glamour (South Africa). She also appeared on the American October ’15 issue of Vogue, making it her second cover in a row. In June 2015, Lupita returned to her native Kenya and announced that she will advocate globally for elephants with the international conservation organization WildAid, as well as promote women’s issues, acting and the arts in Kenya. WildAid announced Lupita as their Global Elephant Ambassador. In 2013, her father was elected to represent Kisumu County in the Kenyan Senate. Nyong’o’s mother is the managing director of the Africa Cancer Foundation and her own communications company. Other family members include: Tavia Nyong’o, a scholar and professor at New York University; Dr. Omondi Nyong’o, a pediatric ophthalmologist in Palo Alto, CA; Kwame Nyong’o, one of Kenya’s leading animators and leading technology expert; Isis Nyong’o, a media and technology leader who was named one of Africa’s most powerful young women by Forbes magazine. London fashion label Alexander McQueen, now under the creative direction of Sarah Burton, is the most wanted fashion label according to CoolBrands, the company devoted to create an annual list of the “hot” brands in Britain. 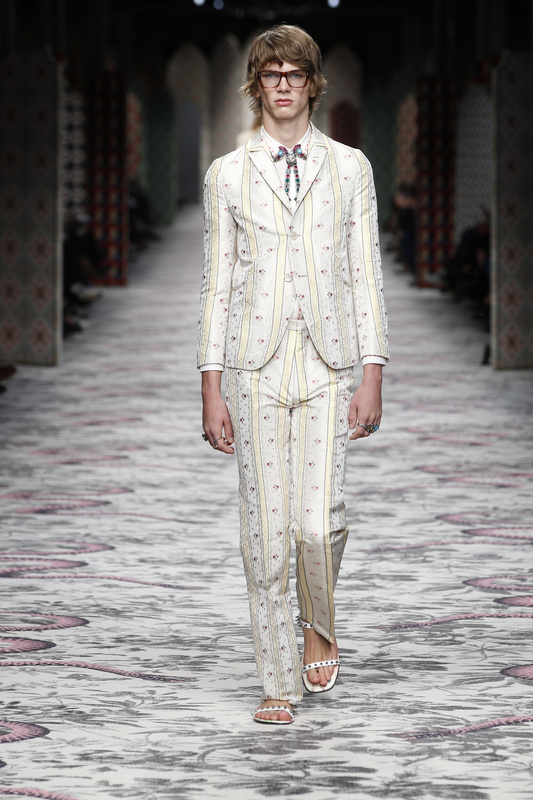 Alexander McQueen, now under the creative direction of Sarah Burton, was ranked two places higher than Chanel. The brand was the subject of a recent, sold-out exhibition at the Victoria & Albert museum titled Alexander McQueen: Savage Beauty. Fashion labels considered cool enough to make the cut include lingerie company Damaris, luxury sleepwear brand Olivia von Halle, cult sunglasses brand Linda Farrow, jewelry designer Stephen Webster and shoe designer Nicholas Kirkwood. 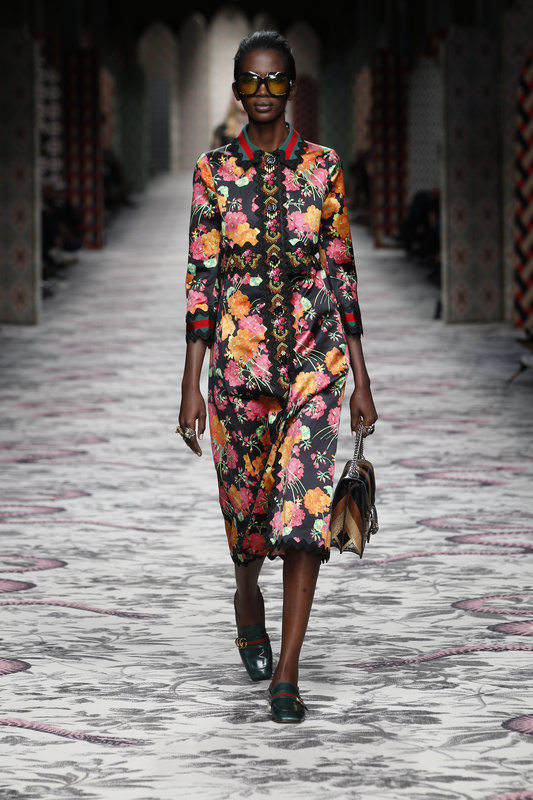 Luxury e-tailer Net-a-Porter also made the list, as did Storm Models, the London-based agency which discovered Kate Moss and represents Poppy Delevingne and Jourdan Dunn. Revolutionary hairbrush Tangle Teezer was commended for using “disruptive technology” to achieve “global cult status” in the beauty segment. Big beauty brands Benefit and Aveda were also listed as ‘cool’ alongside Jo Malone’s Jo Loves fragrance venture thanks to its founder’s “undeniable passion for fragrance, pouring undiluted creativity into innovative new products and entertaining experiences.” Hairdressing chain Toni & Guy also made the cut. 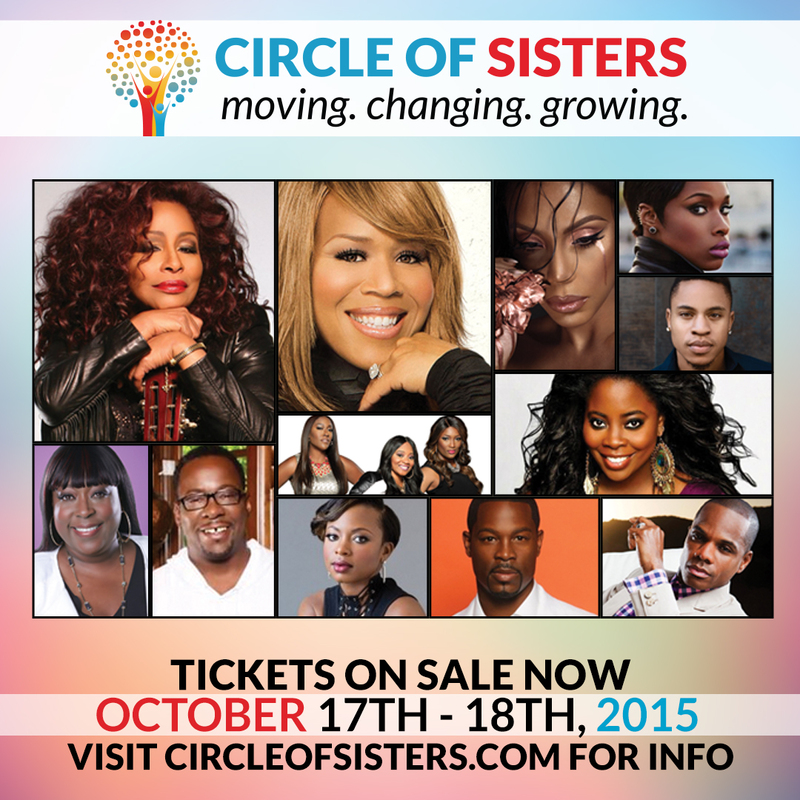 Emmis NY stations WBLS, WLIB, and HOT 97 will present the 2015 Circle of Sisters Expo on Saturday, Oct. 17 and Sunday, Oct.18 at the Javits Center (34th St. and 11th Ave.). Emmis NY stations WBLS, WLIB, and HOT 97 will present the 2015 Circle of Sisters Expo on Saturday, Oct. 17 and Sunday, Oct.18 at the Javits Center (34th St. and 11th Ave.). The 11th anniversary of NYC’s largest expo is coming courtesy of WBLS 107.5 FM, New York’s #1 source for R&B, 1190 WLIB AM, the home for Gospel & Inspiration, and WQHT HOT 97 FM, the #1 station for Hip Hop in the world. In addition to a sea of vendors, there will be tons of free items for attendees, and panels on relationships, physical health, and finances. The food at the Cooking Pavilion is not to be missed, and there will also be a trendsetting fashion show and both an R&B and gospel concert. On Sunday morning, there is a worship service for attendees to get their praise on. Last year’s Circle of Sisters R&B concert featured Jennifer Hudson, Faith Evans, Johnny Gill, Tyrese, Mary Mary, and Fantasia at Madison Square Garden. The gospel lineup included Grammy Award-winning artist and pastor Hezekiah Walker, Kierra Sheard, VaShawn Mitchell, JJHairston, Michelle Williams, and others. Celebrity panelists at the start-studded 10th anniversary included celebrity stylist Kim Kimble, erotica writer Zane, television personalities La La Anthony and Niecy Nash, actors Leon and Terry Crews, and singers Tina Campbell, and Tamela and David Mann. Rounding out the weekend were appearances by actors LanceGross, Hill Harper, and Larenz Tate, HOT 97’s Ebro Darden, singer-songwriter Bunny DeBarge, Rev. Al Sharpton, “Project Runway” star Korto Momolu, Roland S. Martin, Bishop Walker, and more. Marriage, wellness, and “The State of Black Music and Culture” were just a few of the topics covered during the spectacular weekend. Tickets for the Circle of Sisters Expo are available now on CircleofSisters.com, and are $20 in advance. Inflation brings it to $25 at the door. WHAT: A fashion show featuring five of the most successful designers from emerging fashion capitals, in conjunction with The Museum at FIT’s exhibition Global Fashion Capitals. Showing together for the first time in New York, these internationally-acclaimed designers represent the future of global fashion. A panel discussion with the designers will follow, moderated by Ariele Elia and Elizabeth Way, curators of the exhibition. An international fashion fair featuring designers and industry professionals. Global Fashion Capitals Conference, with keynote conversation between designer Reem Acra and The Museum at FIT’s director and chief curator Dr. Valerie Steele. Fashion Avenue News, the independent, front running Fashion Magazine (print) brings you accessories in our October 2015 issue. Fashion Avenue News features emerging, independent and established designers all on the same page. We also feature Plus Size and Straight Size models together. You don’t have to be a celebrity to be in Fashion Avenue News, just be fabulous. Our submission guidelines are on our website, http://www.FashionAvenueNews.com – we would love to hear from you. Fashion Avenue News is a 5 year old Global, Luxury Print Fashion Publication, sold at the Magazine Cafe 15 West 37th Streets in NYC. You can also order on line at http://www.FashionAvenueNews.com, just click on the cover on the website and your issue will be in the mail. Please support independent magazines, like our facebook page, follow our instagram and blog. We thank you in advance. P.S. Don’t miss our FREE Fashion Industry New Years Party, with the friendliest people in the fashion business, more info on our website. Alvanon, a global consulting firm for the world’s leading apparel organizations, has entered into a Fit Movement partnership with the Fashion Institute of Technology (FIT), an elite NYC educational institute. The partnership supplies FIT’s School of Business and Technology with advanced technical fit tools and provides its students with encouragement, mentoring and class seminars covering the business of fashion, it said n a press release. 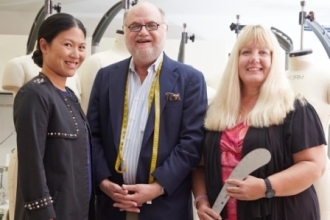 “Alvanon’s Fit Movement is designed to nourish, grow and reestablish the art and science of apparel manufacturing in New York City,” said Alvanon CEO Janice Wang. “To that end, we are working with industry associations and schools, and supplying them with tools, technology and training that address the manufacturing sector of the fashion business. In addition to world-class technical development tools, students will benefit from Alvanon’s extensive product development experience with the world’s leading and most successful apparel brands and retailers. Alvanon’s association with FIT focuses on its school’s Technical Design Department. FIT’s Bachelor of Science program in Technical Design educates students in all phases of product development. Alvanon is also a member of FIT’s Technical Design Advisory Board, which focuses on current curriculum challenges and strategies to provide students with additional practical experience. The Women’s Spring/Summer 2016 collection is the product of a Situationist dérive: the playful practice of crossing and exploring urban spaces. The dérive adopts an unconventional strategy of geographical displacement punctuated by random and indeterminate movements. Paths take shape according to the stimuli of the city. These paths push toward the unknown and contemplate the possibility of getting lost as an opportunity for learning and discovery. Neverthless, the dérive does not exclusively celebrate losing oneself. It is configured above all as a clue-based technique for understanding the contemporary: an exploratory process of collecting and interpreting signs, suggestions, vital traces, emotional tonalities, and symbolic worlds. 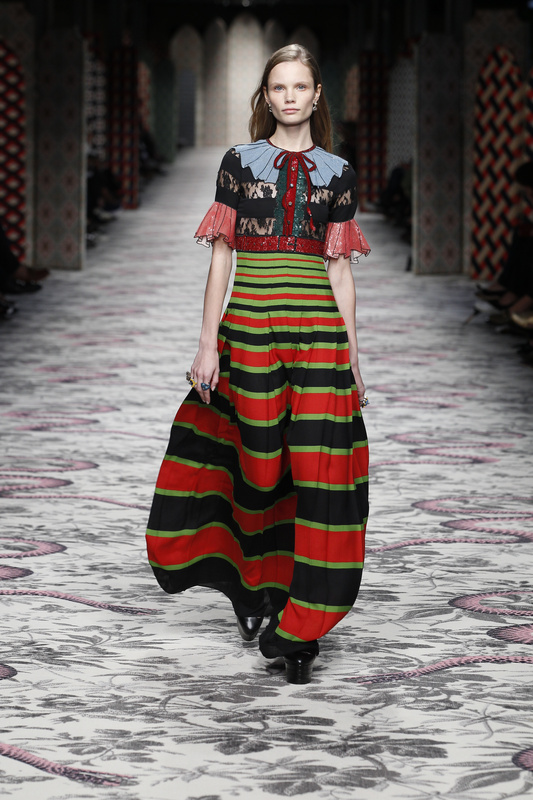 These hints gather on the collection’s clothes to form eclectic palimpsests rich with heterogeneous references. The clothes are transformed into psycho-geographic maps capable of recording the urban unconscious: maps that embroider the world within a discourse of affectionate intimacy. The reference is to the Carte de Tendre, published in 1654 by Madeleine de Scudéry: a map of tenderness, a moving topography of desire. In fact each object in the collection is offered up as a small atlas of emotions, a treasure chest of aesthetic references, a sentimental cartography in which patterns, extraordinary craftsmanship, and rarefied materials are interwoven. For many seasons, Giorgio Armani Beauty has created the Lab Armani Runway, a unique tool designed for use backstage at Giorgio Armani fashion shows. Composed of a range of pigments and bases, the Armani Runway Lab enables Linda Cantello to create colours live backstage. 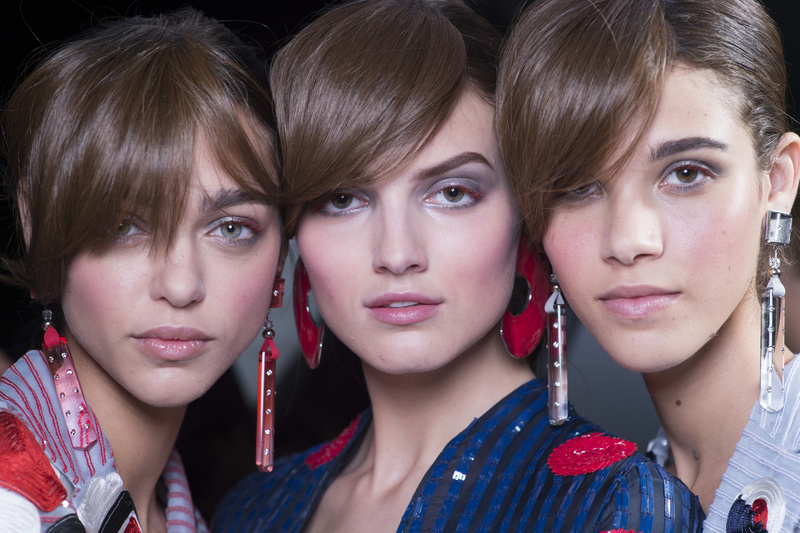 Since the Spring Summer 2015 season Giorgio Armani Beauty is making the products formulated by the Armani Runway Lab available to its customers. 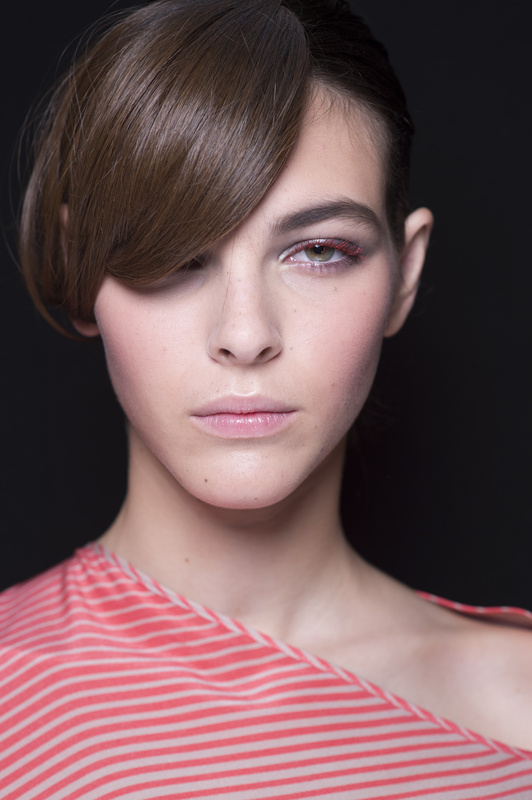 The ARMANI RUNWAY Spring Summer 2016 Make-up Collection is a range of four products in exclusive shades: a couture face-and-eye PALETTE (three eye-shadows and a blush), an EYE TINT, an ECSTASY LACQUER, and a NAIL LACQUER, all created backstage. 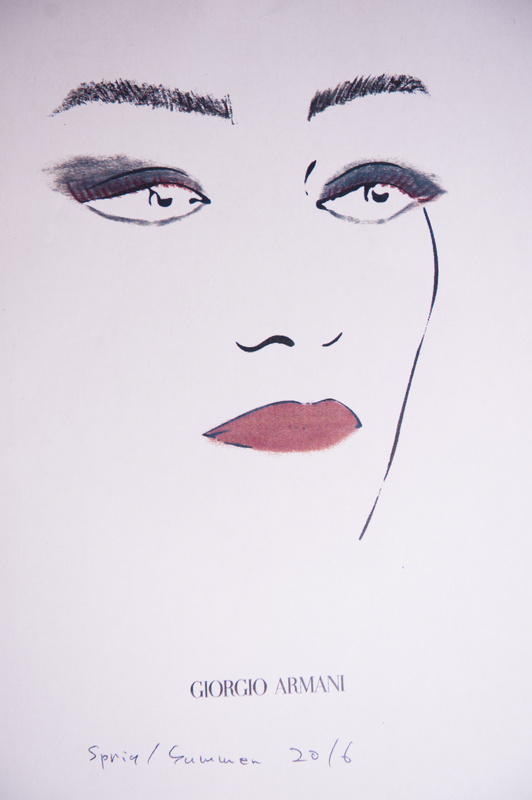 The make-up seen on the runway will be available in a limited edition in selected stores from February 2016 at the same time as the matching fashion collection. Achieve a young, fresh and natural skin by preparing the skin with the new ARMANI PRIMA GLOW-ON MOISTURISING BALM. Giorgio Armani Beauty will launch in March 2016 a new innovative skincare range with ARMANI PRIMA, an advanced skincare line for all-day makeup glow. With ARMANI PRIMA, skin is flawless, radiant, hydrated and touch-up free all day long. Apply a combination of CREMA NUDA and HIGH PRECISION RETOUCH in shades matching skintone. Finish by powedering lightly on T-zone when needed with LUMINOUS SILK COMPACT in shade 2. Eyebrows are natural, filled softly with EYE&BROW MAESTRO in shades matching the hair color. Create a wash of grey by mixing the custom-made shades of ARMANI RUNWAY SS16 PALETTE – a trio of iridescent eyeshadows: pearl, pearl grey, pearl copper. Blend it over eye lids, onto the outer corner and under the eyes. 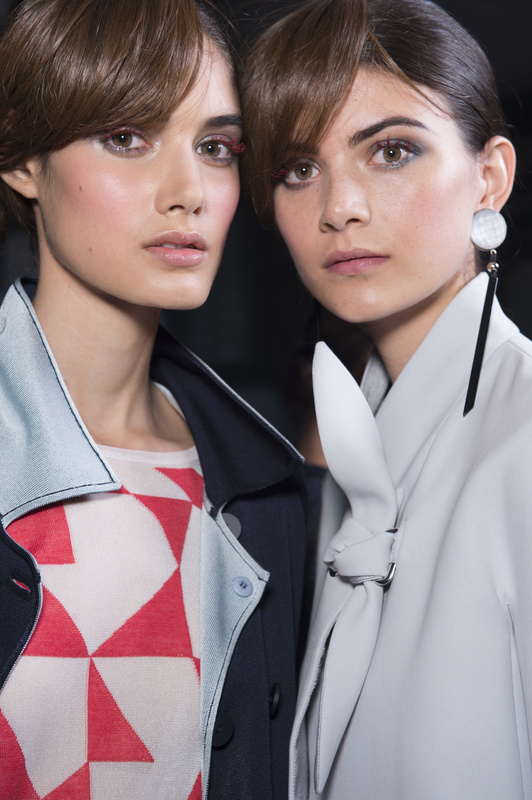 Add ARMANI RUNWAY SS16 EYE TINT on top for a multi-reflections impression. Use BLACK ECSTASY MASCARA in Obsidian black on top lashes. Let it dry and then apply on top lashes the custom-made red mascara by the ARMANI RUNWAY LAB, previewing the upcoming EYES TO KILL EXCESS MASCARA in shade 4 Rouge Iron (on counter in May 2016). Apply ARMANI PRIMA EYE & LIP CONTOUR PERFECTOR, and keep the lips very natural and sheer with the ARMANI RUNWAY SS16 ECSTASY LACQUER.